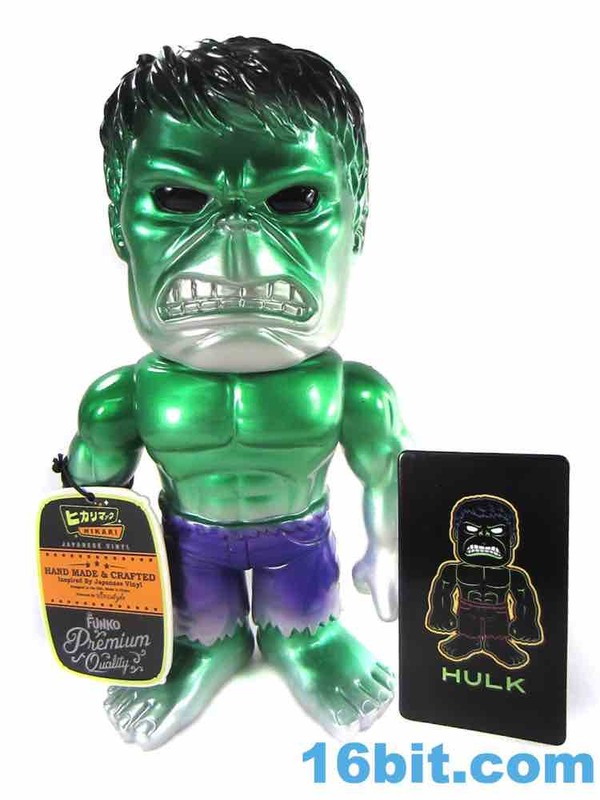 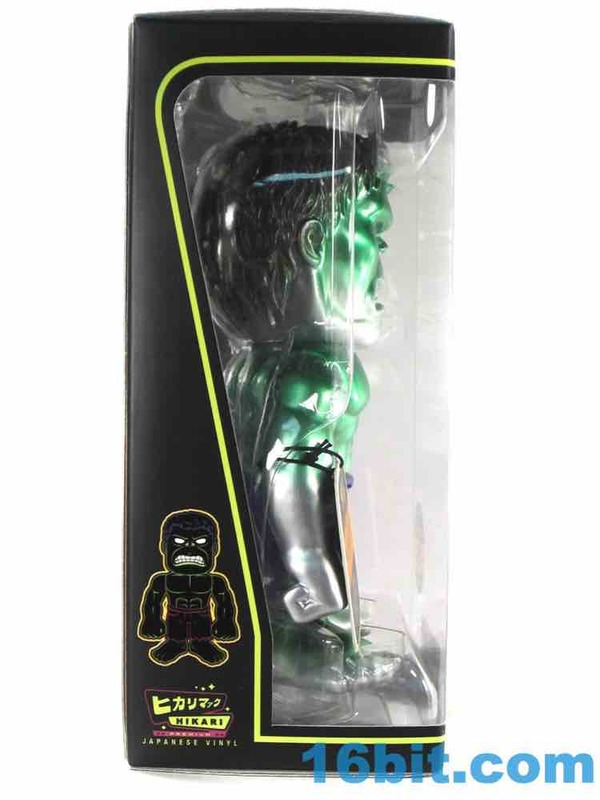 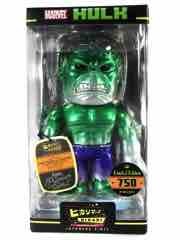 This Entertainment Earth exclusive Marvel Metallic Hulk was the first Hulk Hikari figure to go up for sale anywhere - unless I missed one. 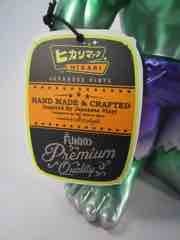 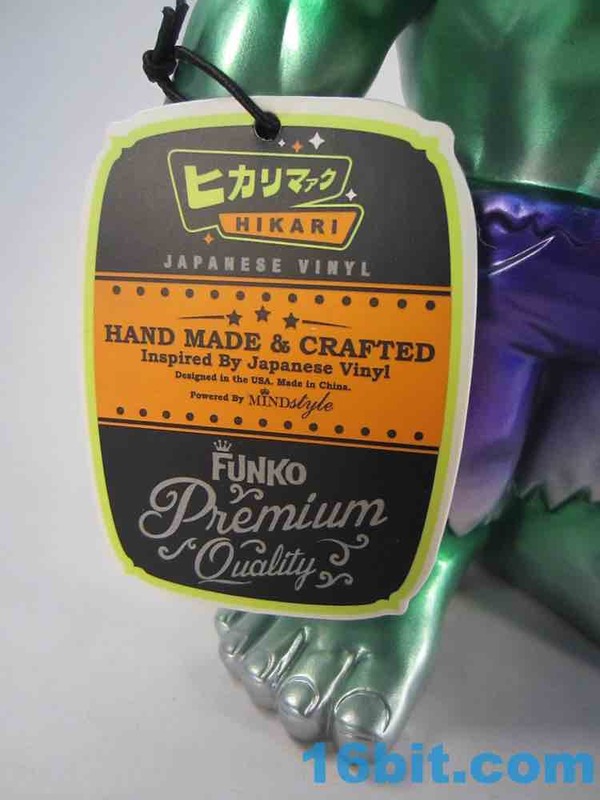 I work there so I was really excited to debut a Hikari sculpt, as these things are tons of fun to look at. 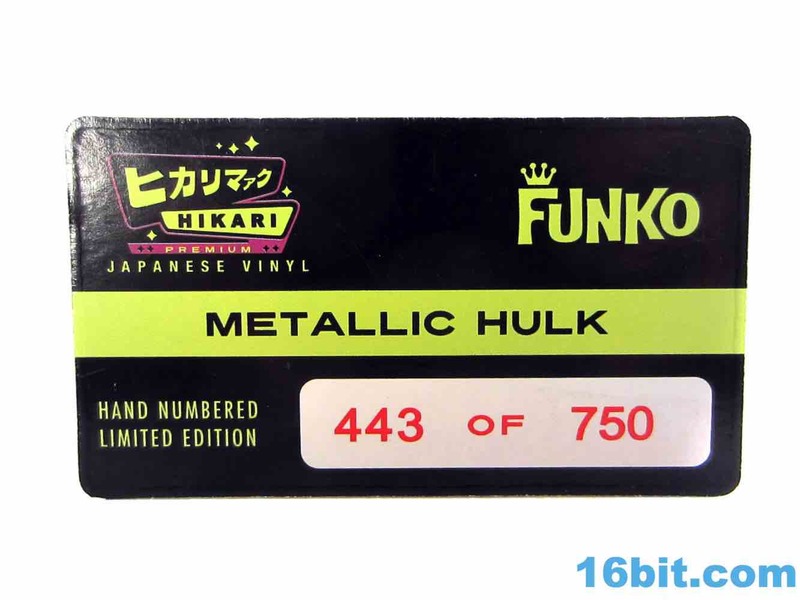 Sure, I wish they were cheaper, but the low runs and crazy paint jobs are a good chunk of the charm. 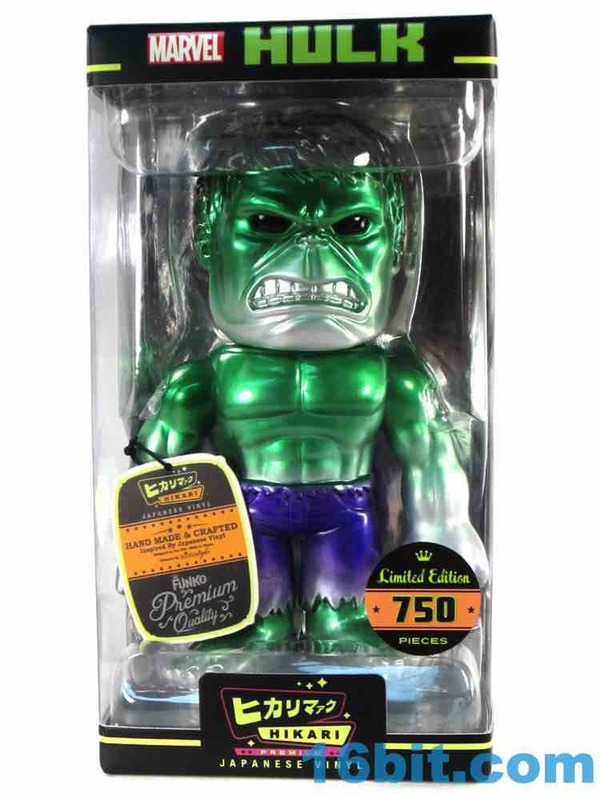 One programming note: earlier Marvel Hikari figures like Spider-Man and Groot were much taller and came in larger boxes. 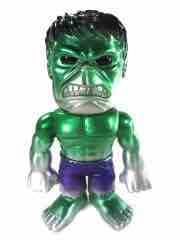 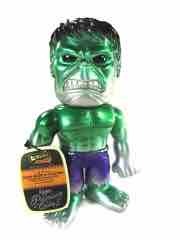 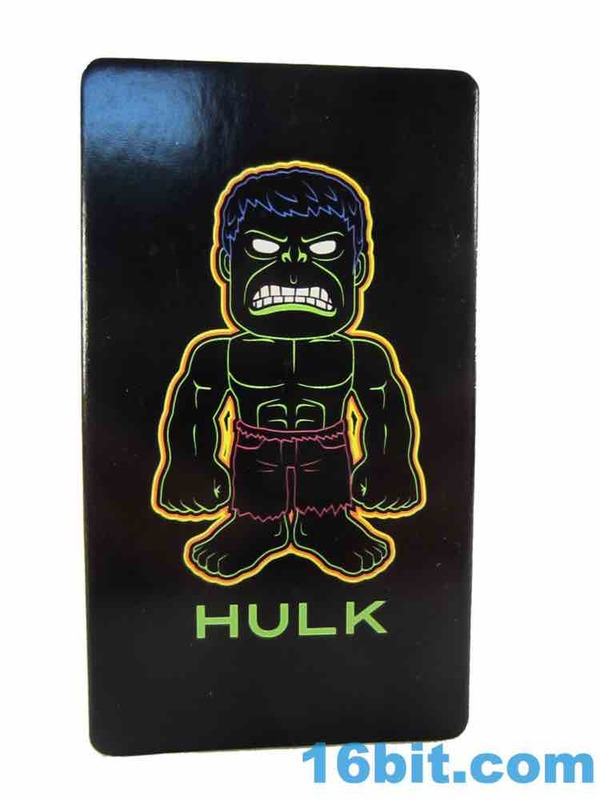 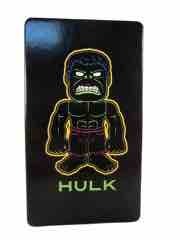 Hulk is 8-inches tall, and comes in the normal sized box - so he's small for Marvel. 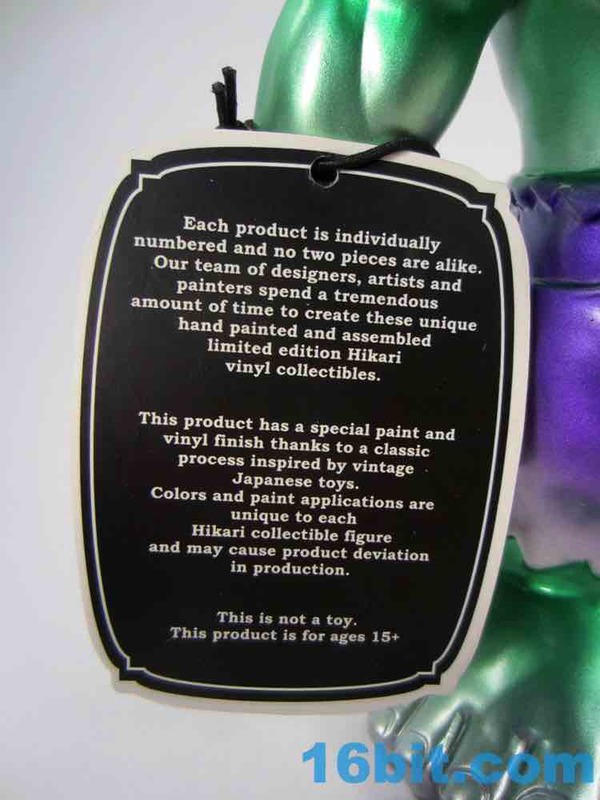 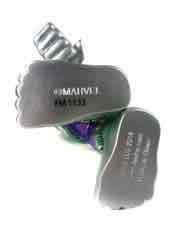 This one is a metallic silver with purple, green, and black painted on top of it. 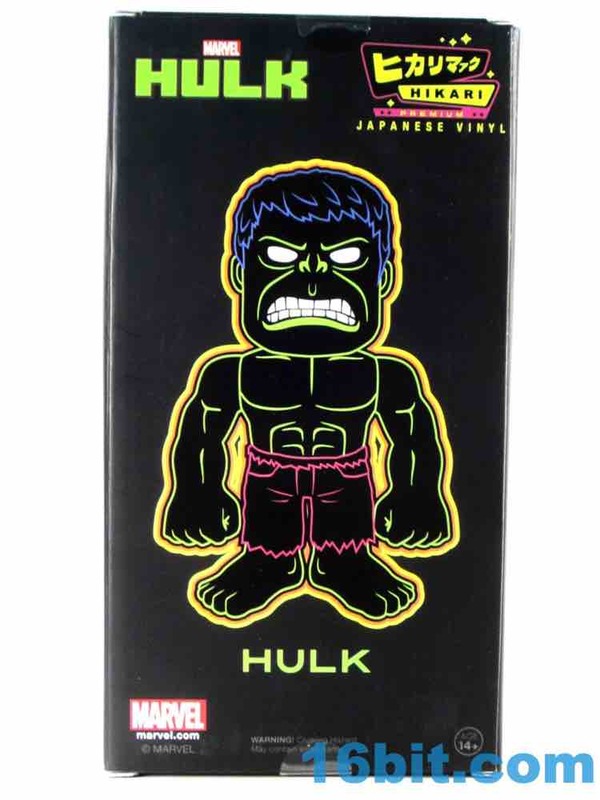 It's pretty fantastic if you like the idea of your super heroes having the visual flavor of an aluminum can, and boy howdy do I. 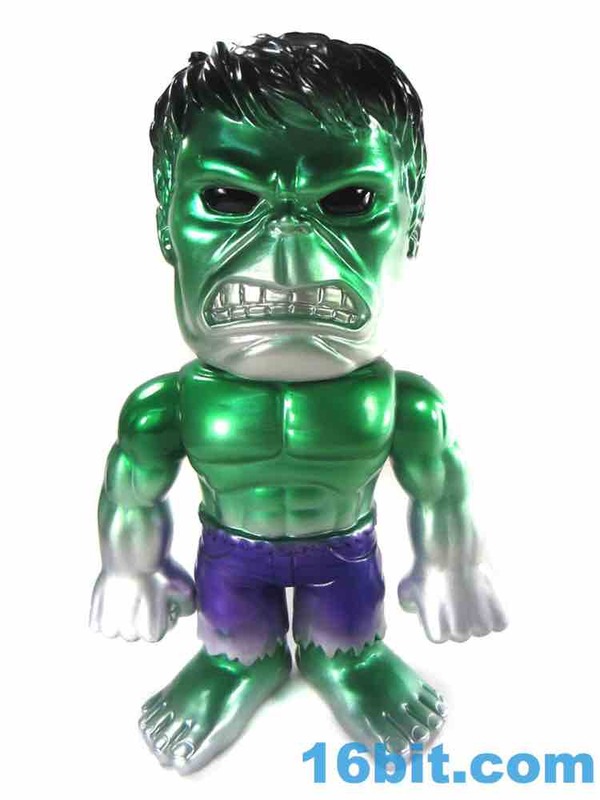 The funny thing is, I pretty much told you most of what you need to know - Hulk is a heavily stylized figure who's primarily made of his head with some muscles and arms as an added bonus. 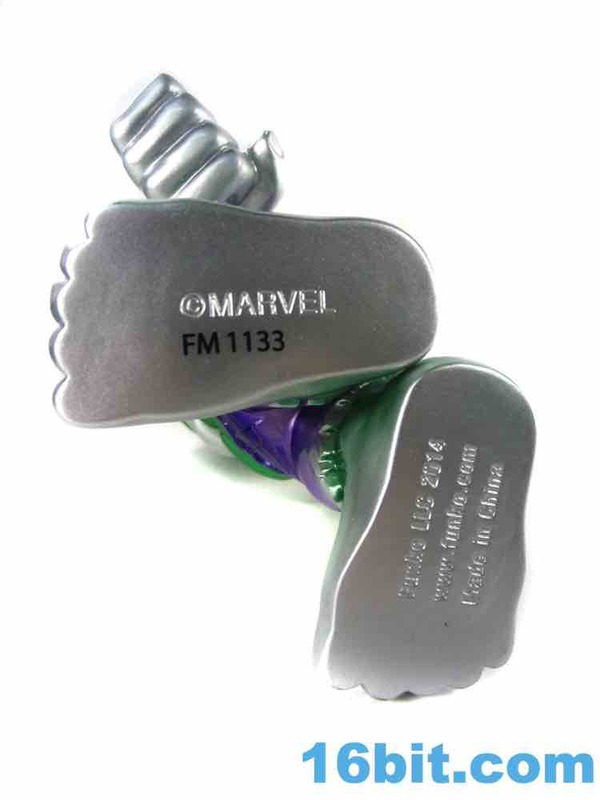 Twin fists are silver, with green shoulders and body. 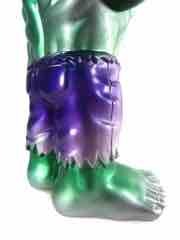 The feet and arms shine like you wouldn't believe, bringing out the minor detailing in each area. 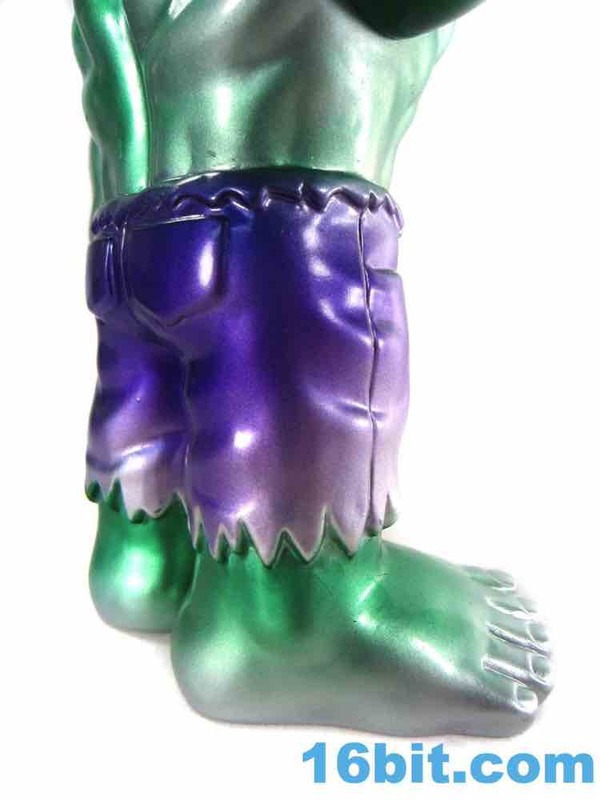 The toes pop, which is weird. 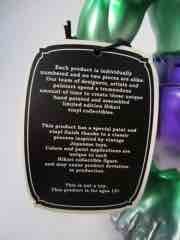 The pants have pockets and seams, with the purple metallic paint doing wonders bringing those to life. Hulk's head is painted, but a little (intentionally) sloppily - believe it or not, that's the charm of this style of figure and in much of Japanese vinyl these days. 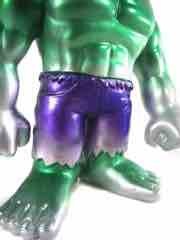 Despite the strange proportions - or perhaps because of them - Hulk is undeniably Hulk-esque. 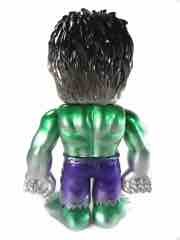 Big fists, big head, messy hair, purple shorts, it's all here. 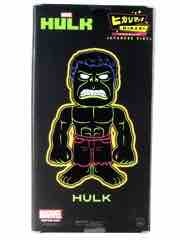 The only issue is, unlike 10 years ago, you've got Hulk options. You don't have to go to Amazon and overpay for Toy Biz' last release - you can get busts, statues, action figures, LEGO minifigures, army men, movie figures, cartoon figures, and oh so much more. For this reason, this may not be the best figure - of course, for this reason, it is also the best figure. 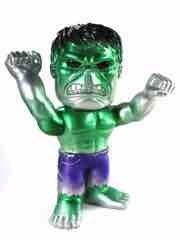 I've got a few Hulk toys, but I don't have ones that look like they were forged from a Sprite can. 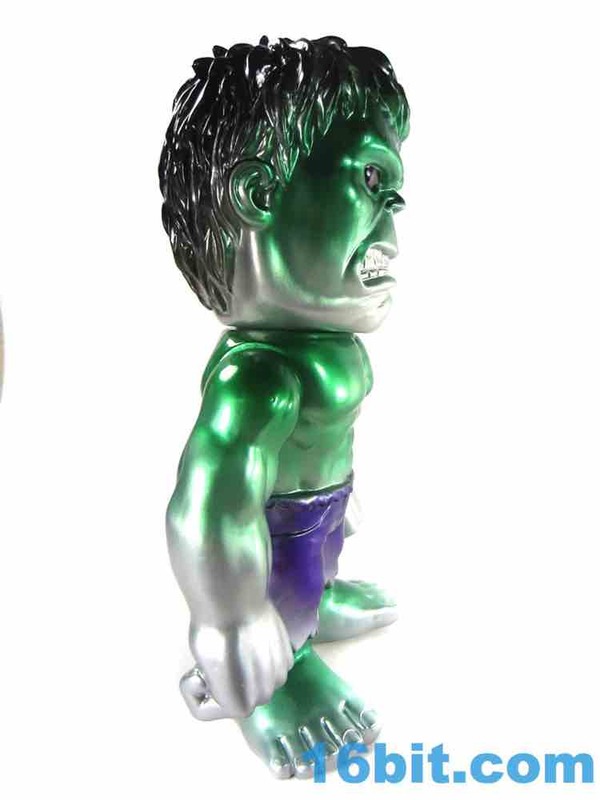 Figures like Hikari Hulk deserve a place in an office that's relatively uncluttered with toys, as a glass display case or a well-lit shelf do wonders to bring him to life. 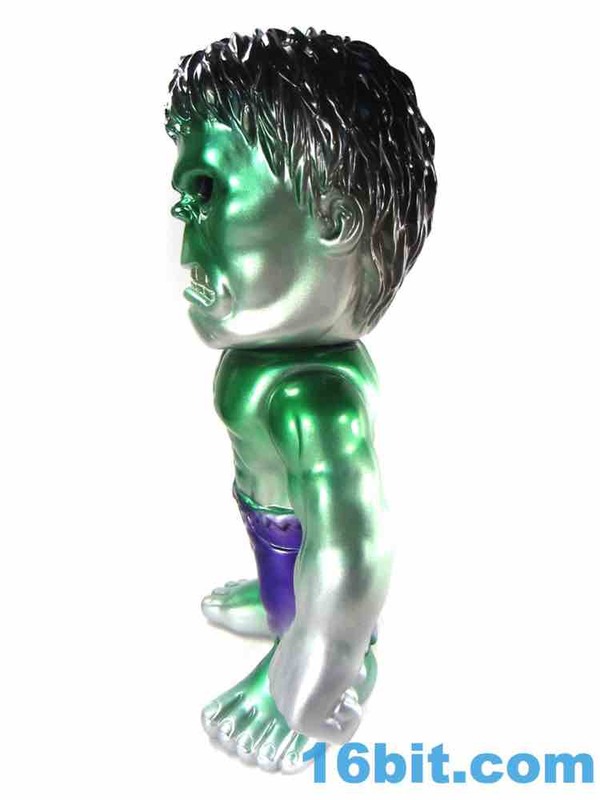 In my basement, he's just another plastic freak in the freak kingdom - his metal paint does give him a lot of added visual flair that might otherwise cause him to fade completely into the background. 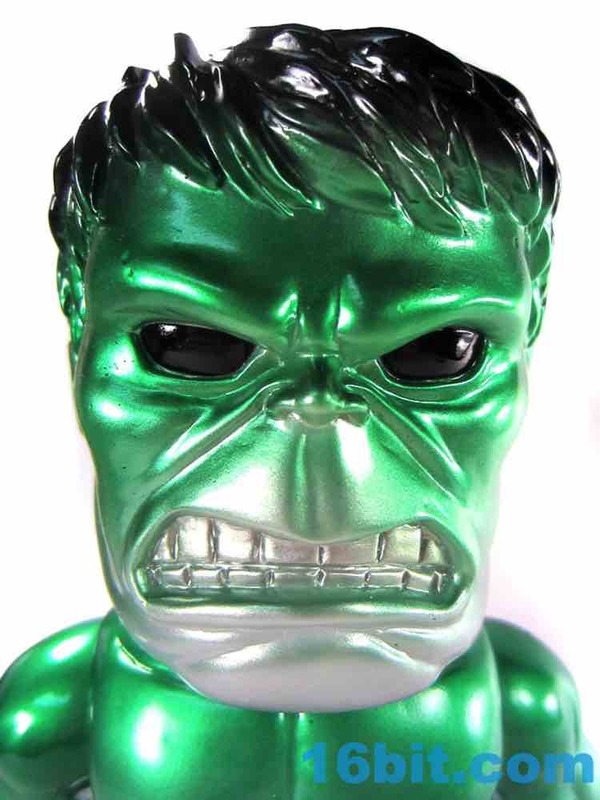 If your budget permits, the big toothy grimacing green guy is worth having. 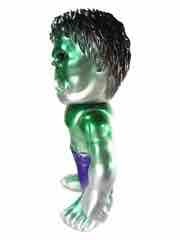 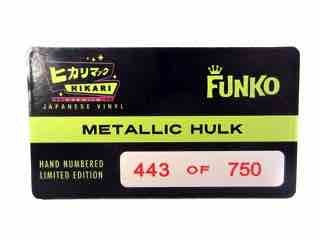 I'm really happy with this one, which gives him the dubious honor of being the only Hikari Hulk I plan on purchasing.